Something magical happened when Rakesh Shukla met Kavya. Three months later, he got a second dog, this time a stray called Lucky. He found her on the streets, wet and miserable, so he just brought her home. Over the next few weeks, whenever, Rakesh saw a stray or an abandoned dog, he just brought it home. The growing number of canines soon became too much for his wife to bear, so he moved most of them to his workplace, turning the top floor of his office building into a dog shelter. At the same time, he kept adopting stray and abandoned dogs, and by 2012 he realized he needed to set up a proper shelter for them. That year, Mr Shukla bought land in the neighboring Doddballapur town and set up a canine haven for dogs. Most of the residents are old or sick, while the rest are simply unwanted. 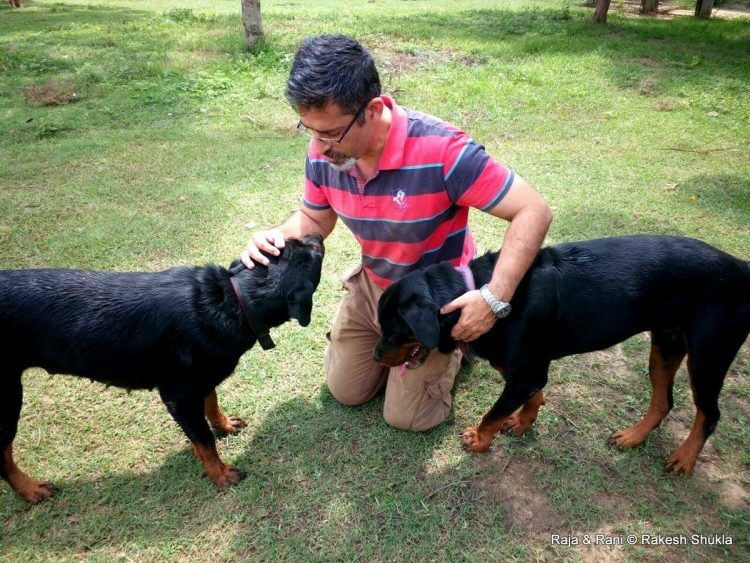 Last time he counted them, Rakesh Shukla had 735 dogs in his care. “I’m the last stop for these dogs. They are no longer cute and cuddly. Many are sick and no longer wanted,” Rakesh told the BBC. But that’s all the more reason to make their life as happy and comfortable as possible. To that end, the Dog Father spares no expense. His shelter employs a staff of about 10 people, including trained veterinary assistants, to feed and care for the animals. They are fed 200kg of chicken and 200kg of rice every day, and many of them receive constant medical treatments. The daily cost of running this unique haven runs between $650 and $750 a day, of which he personally provides 95%. In his 2015 message to the city of Bangalore, Rakesh Shukla estimated that in the previous three years he had spent over $1 million of his own money to fund the Voice of Stray Dogs rescue. He had managed to rescue over 5,000 stray dogs in Bangalore, not to mention taking care of the hundreds that lived at his shelter permanently. But following a string of problems faced by his organization while providing the city a free service, he decided to change his approach and focus more on the hundreds of dogs in his personal care. While VoSD still operates in Bangalore, it’s not “a free lunch anymore”, so people who need a dog rescued have to pay a 2,500 rupee ($37) fee. 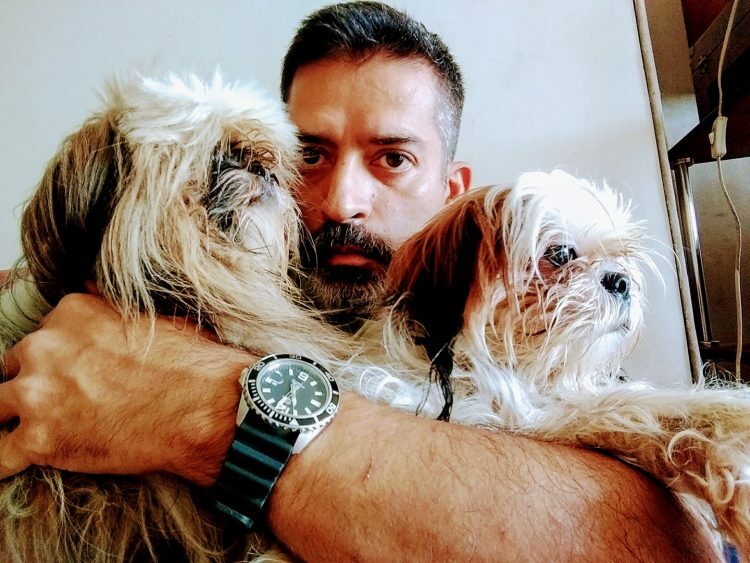 Rakesh Shukla is viewed by many as a hero, and a human champion of stray and abandoned dogs in Bangalore, but not everyone has been supportive of his efforts. 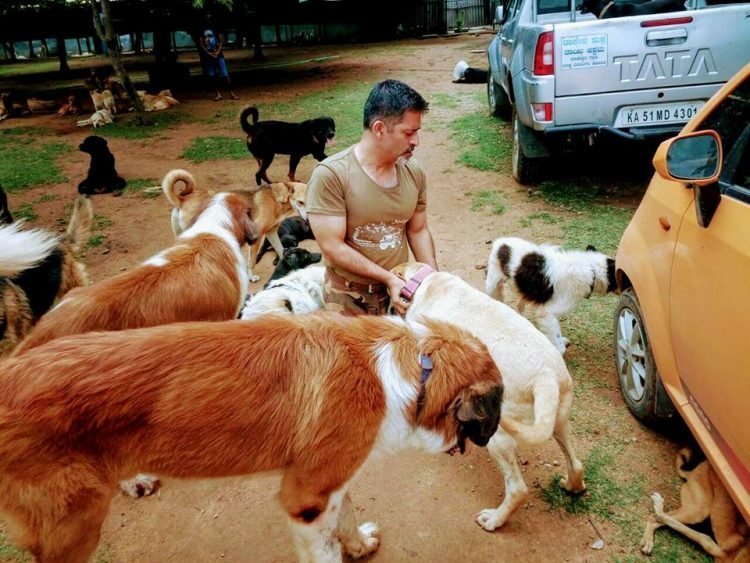 In the past, he has been sabotaged by so called animal activists who demanded access to his dogs and facilities, has received complaints that he is creating public unrest by keeping so many dogs, and some have even demanded that he shut down his shelter. He plans to do no such thing though. “I’ve made a pact with my dogs. We will part only when one of us kicks the bucket,” he says.